If your goal is to transfer your community college credits to a four-year music school, there are a number of things to know up front that will ultimately save you time, money, and aggravation. 1. Who is likely to benefit from starting out at a community college? 2. Can I study music at any community college? 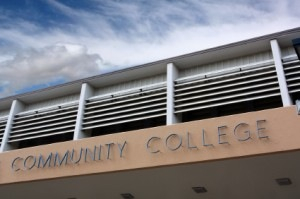 According to the American Association of Community Colleges, there are currently 1,132 community colleges located across the U.S. They differ dramatically from each other. Some have strong music programs, with state-of-the-art production and performance facilities. These schools tend to have strong, active musicians and other music professionals on faculty. 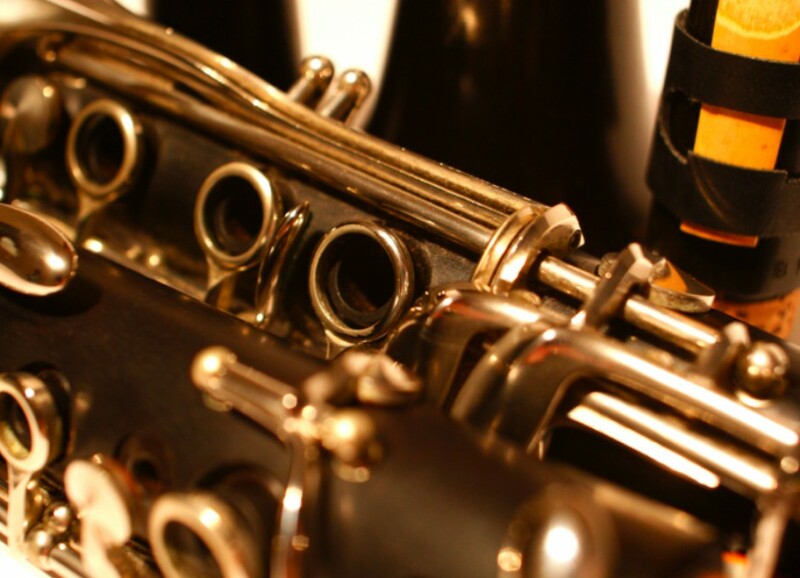 Other schools offer music classes geared more to non-music majors. So it’s important to check carefully, particularly if you’re using the community college as a springboard to a four-year music school. 3. What classes should I take? 4. Will my credits transfer? Unless your community college has an articulation agreement with the four-year schools you’re interested in transferring to, you may discover that music credits taken at a community college won’t transfer. Some community colleges like Bergen, Cuyahoga, and Pasadena have strong music tracks, while others have “relatively undemanding theory courses with a gentle grading scale that don’t prepare students for a demanding university program,” says Hynes. Arnwine encourages students to “investigate the articulation of their community college courses to the university they are aiming to attend.” This requires time and attention but will pay off down the road. Articulation agreements ensure that specific classes taken at the community college level will transfer, with full credit given. Remember that if your credits don’t transfer or if you need to take more classes at a four-year school, you could end up squandering some or all of the money you saved by starting out at a community college. 5. Do I need an A.A. (Associate of Arts), A.F.A. (Associate of Fine Arts), or A.S. (Associate of Science) degree to be able to transfer to a four-year music school? It depends on who you talk to. Some community colleges prefer that you do get your A.A., A.F.A., or A.S. degree before transferring. If they have articulation agreements with the four-year schools you’re interested in, spending two years at the community college level and attaining a minimum GPA may be required. As long as you follow their recommendations, your music classes and GE classes will transfer. If you’re considering community colleges that don’t have articulation agreements with four-year schools, it’s essential to check with the schools you’re interested in transferring to before you get too immersed in your community college education. And it is unlikely that obtaining an A.A., A.F.A., or A.S. is necessary for transferring. 6. Do I have to apply and audition in order to transfer from a community college to a four-year music school? Yes, applying and auditioning are required, even at four-year schools that have articulation agreements with community colleges. 7. What can I do to graduate in four years? At schools with articulation agreements, however, especially where the community college music curriculum is designed for students who plan to transfer, it is possible to graduate in four years. Getting a BA instead of a BM in music may be another way to graduate in four years as a transfer student. Brad Andrews at University of Redlands points out that the “Bachelor of Music degree requires four years of lessons and ensembles” while the BA allows room for more General Education and elective credits. 8. What about scholarships and merit aid for transfer students? Transfer students are eligible for federal need-based aid just like freshmen. However, the availability of merit or academic awards may be less. Ask each four-year school you’re interested in about your chances of getting the kind of financial aid you’ll need in order to attend. Know that every four-year music school has its own set of guidelines and requirements for transfer students. Check with each school you’re interested in to make sure that as a music student, your credits will transfer and that the time, energy, and money spent at community college will be well-used. Articulation Agreements between specific community colleges and specific four-year schools are designed to provide a smooth transition from one to the other. Also known as “college partnerships,” they specify which courses taken at the community college level will transfer to the four-year school. Some states have Articulation Agreements that require state-related universities to admit students with A.A. or A.S. degrees from state-approved community colleges. I would like to add some experience advice about majoring in music at university starting out with a community college degree. I transfered to my current school after completing my AA at community college and taking all my lower level gen ed and music theory and piano. What i did not know when transfering was that my school, and most schools require all 4 years of lessons and related classes to earn their degree. If you are in community college most likley these are not offered and any private lessons do not qualify unless the teacher is the same for the university you attend. I found that all out after my first semester trying to plan for financial aid and classes. Even though i transfered with almost 100 credit hours and was a senior standing in that aspect. I was still a freshman and have to take lessons for 4 years to finish this degree. I may not be able to ever complete my degree because i will run out of financial aid long before my anticipated graduation. So just a hard lesson learned story. if there is any chance you might want to get a Bachelors degree in music. make sure you start lessons at a university as soon as possible or else your plan of saving money at community college may cost you an extra 2 years of school. We urge students to check with the community college they plan to attend to see if they have articulation agreements with any 4-year schools. If they do, the classes should transfer. But it’s still worth asking about. We also urge students to talk with the admission offices at 4-year schools they’re considering transferring to, in order to see what classes they should take at community college so that they don’t end up in the position you describe. I recently decided I would go to my local community college in order to get my A.A. to become a music teacher. I know you typically have to audition in order to become a music major, but nowhere on their website does it mention auditions. Do you not have to if you are going to a community college? You will probably only audition once you matriculate at the CC, to figure out which level of instruction you’re ready for. Should you decide to transfer to a 4-yr. school, it’s likely that you WILL need to audition. Hope this helps. Thank you for creating this article. Now I know how to select the right community college to start with before transferring to a four year college. So glad to hear the article helped you! Best wishes. This is a very informative and comprehensive article, certainly a must-read for any student considering a major in music. I’d like to join in to emphasize that transferring to a university is indeed very tricky. Even with an articulation agreement, it is very difficult to satisfy both the graduation requirements of the CC, and the entrance requirements of the university in just two years. Remedial courses in music theory, and often math, will set you back at least a semester, not to mention the musical proficiency required for an (junior level) audition that may take longer than two years of study and practice to attain if starting from a beginner level. A five year time frame for a CC/University degree is more realistic, and has been the experience of my students thus far. I also want to emphasize that for many students, the terminal degree (AS) offered by my institution and others around the country is sufficient to work in the industry. For those interested in the fields of Music business/production, an AS from a comprehensive program is a good starting point in the development of a career. I really appreciate the information and effort that went into this article. I’ve had to take a year off from school in order to gain some financial income for a community college. However, after having a talk with various people, I’m becoming to worry about starting at a community college as a music major. I’ve performed choral music for 6 years and gained a lot of knowledge along the way. I’m wanting to major in Music Composition and down the line I want to become a Video Game Composer, combining two of my biggest passions into a career. I’m beginning to worry as I hear community colleges don’t offer good music programs and those who transfer often spend a lot of time and spend more money catching up. I’d love to go straight to a music program at a university or a music school but my only problem is the lack of money. I suppose I could get a bunch of loans or something and try to rush into a 4 year university but I don’t want that to backfire. So ultimately I’m feeling conflicted. I’ve been picking up the piano again and plan on self-teaching myself using the internet and going deeper into music theory. Otherwise, do you think it’s ultimately to go to a 4 year university for music majors? Is transferring from a community college really as risky or bad as others make it out to be? You sound like a guy with eyes open, good questions, and a clear career goal. Starting out at a community college with a good music program, if done strategically in the way this article talks about, can be a very useful way to begin the process of furthering your education and training in music. It’s a really good idea to communicate with the community college you plan to attend, to find out which schools it has articulation agreements with. This is very important in terms of transferring credits (see the article for explanation). It’s also a good idea to talk with the 4-year schools you might transfer to, to find out what classes you should take on the community college level. Also important: check the 4-year schools’ websites to find out about audition requirements, and ask the admission offices any specific questions about those requirements. Also check out this article: Scoring for Film and TV or Video Games – 5 Ground Rules. I want to major in Music Education and I would like to start in a community college for financial reasons. I have a huge passion for music that was passed from my father to me, he thought and still teaches me all his knowledge in classical guitar and music theory, we are Brazilians and we are living here for a few years. What do you suggest? We are in NJ and I am having a real hard time finding a community college that would help me with my music major. Andy Krikun, who contributed to this article, is chair of the music department at Bergen Community College. You might start by contacting him (let him know we referred you) since Bergen CC is in the state where you are living and they have a strong music program. We don’t know what kind of background you are bringing with you into the study of music business, nor do we know what you’d like to do with what you learn. So our comments are very general. Note that some schools don’t offer a “Music Business” track but you can take courses in the business schools. Some schools also offer an Entrepreneurship track (check CU Boulder College of Music’s Entrepreneurship Certificate program right here on MajoringInMusic.com). There are a number of 4-year schools that offer programs labeled “Music Business” – one that you can check out right here on MajoringInMusic.com is UC Denver’s MEIS program. Berklee, Belmont’s Mike Curb College, and NYU also have programs you might check. Seeing that you are considering a 2-year program, a good starting place for that is McNally Smith College of Music’s Associate’s degree in music business. They’re listed on MajoringInMusic.com. Some of the community colleges also offer music business classes in their 2-year programs; check out Cuyahoga CC and Bergen Community College (which offers an Associate’s degree in music business). I am looking for a 2 year or 4 year Music Business Major and do not want to break my bank account. Do you have any suggestions? I have a passion for Music and have an extremely high business acumen.